Reminder: Never Approach A Sea Turtle! 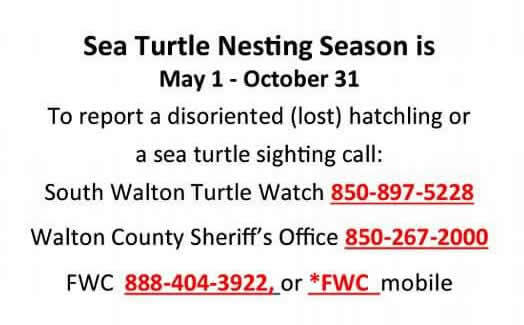 We were asked to form by the leaders of the South Walton Turtle Watch Group. Their organization focuses on locating and monitoring sea turtle nests and overseeing volunteers for the protection of the turtles and their hatchlings. 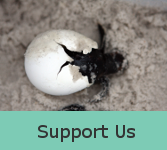 Our organization does not interact with nests — we focus solely on awareness through printed materials and online information, education programs in the community and schools, and local events. Look for our materials at restaurants, hotels, vacation rentals and various retail establishments. 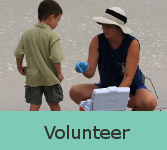 We provide programs for libraries, girl/boy scout troops, various local organizations, and our newly formed Volunteer Beach Ambassador program. We are funded by donations, fundraisers and grants. To learn more about getting involved and/or supporting us financially, please visit our donate page or call 850-203-0215. 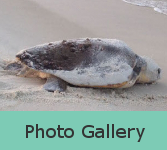 Donations support our efforts to increase awareness about sea turtle conservation and education for local residents and visitors at events, programs, and through distribution of informational materials.